Cleaning your house is a chore that not everybody loves. Some people clean their houses because a holiday is coming; others because they are expecting guests, but most people clean their house because it is simply dirty. You should clean your house at least once per week. 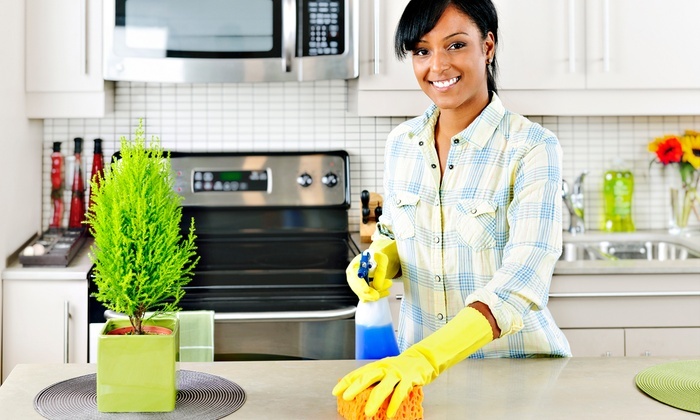 Today we will present five handy tips that will help you reduce the time on cleaning. Yes, it is possible as long as you are well organized and determined to finish the job quicker. When it comes to cleaning you have to be organized; otherwise, you will make more mess. I’ve seen people cleaning half of a room and going to a second one to adjust the furniture there and so on. This method is not a method at all; it is chaos. If you want something simple that works, start cleaning from top to bottom. Do not leave the room until you are finished there. You will be surprised by how fast you will be done with cleaning your whole house. Nothing will judge your performance better than a timer. Cleaning is not a competition, and you will win nothing in the end. The most that you can hope for is a clean house with some saved time. So take your Smartphone or a watch and start counting the minutes. The most troublesome jobs are the ones that happened out of the blue (for example, your cat threw litter all around the litter box). In these instances, you may want to choose a handheld vacuum for quick cleaning so that you won’t have to pull out the bulky, full-sized regular vacuum cleaner. You’ll get the job done much faster, and you’ll have time for your favorite TV show still. With a vacuum cleaner, you can clean the furniture, get all the spider webs from your ceiling and clean hard-to-reach spots. A good vacuum cleaner doesn’t cost a lot and will cut your cleaning time in half. It is a must for every house. If your house is full of stuff (tables, TV, books, etc.) that are thrown around, then it is time to organize a bit before you start the cleaning process. The clothes should be in a closet; the books should be on the shelf and so on. You will waste time cleaning while organizing your room. Will room will look better and will have more space in which you can move freely and clean quickly. It is something that most people overlook, so consider this tip next time you start dusting your house. After dusting your furniture, vacuuming your floors and so on, it is time to take a wet wipe and make them shine. Wet wipes will remove any dirt and microbes that your duster or vacuum left. It is something, again, people forget to do, or they just don't want to waste their time with. It is fast and will make the house look cleaner for a longer period, so you won't have to waste half of your week on cleaning. So, there you have it guys and gals, five handy tips for making house cleaning faster. Try them all and tell us what worked and what didn’t.